Easier and faster use of the Web. Is there a better alternative to Quick Web? Is Quick Web really the best app in Internet Utilities category? Will Quick Web work good on macOS 10.13.4? Quick Web makes it easier and faster to use the Web. If there are websites you visit multiple times a day, you'll never have to type in the URL again with Quick Web. 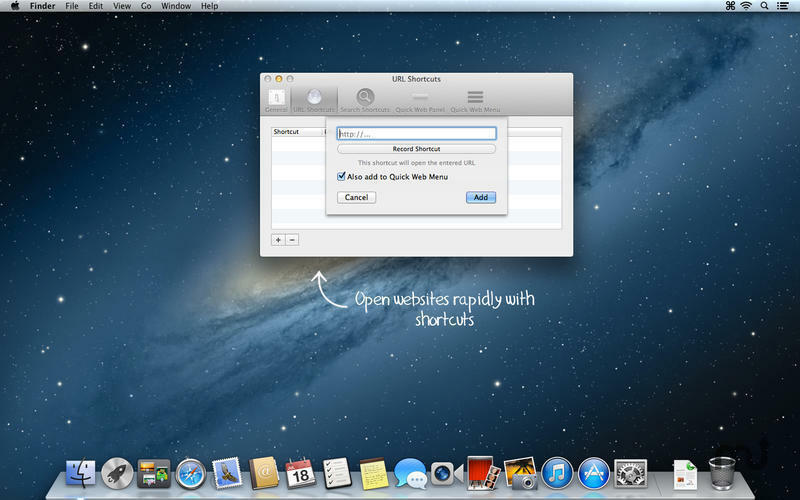 It allows you to set global shortcuts to open URL's. Just enter a URL and a shortcut, then you're done. It's really simple. But if you don't want to set a shortcut for a website because you don't visit it every day, nevertheless you want to have quick access to it, you can add it to the Quick Web Menu. It appears when you right-click Quick Web's menubar icon and shows all configured URL's. Quick Web needs a rating. Be the first to rate this app and get the discussion started! 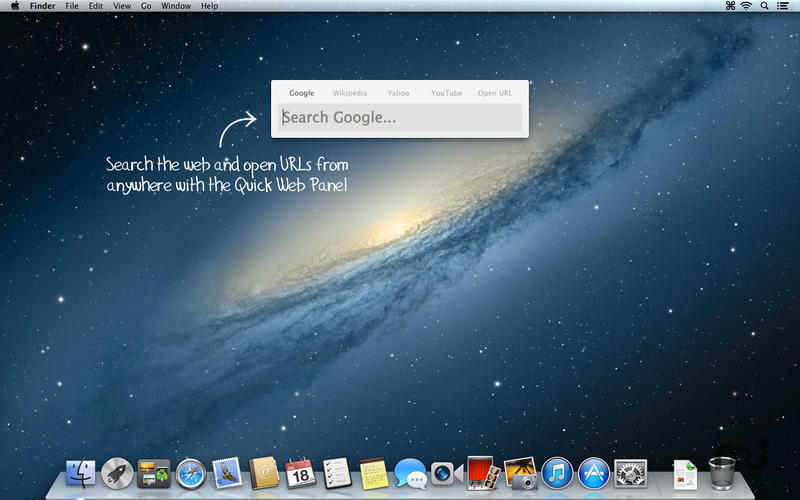 Quick Web also allows you to use search services like Google, Wikipedia, or Yahoo faster. Just copy the text you want to look up, press the shortcut on your keyboard and Quick Web handles the rest for you. 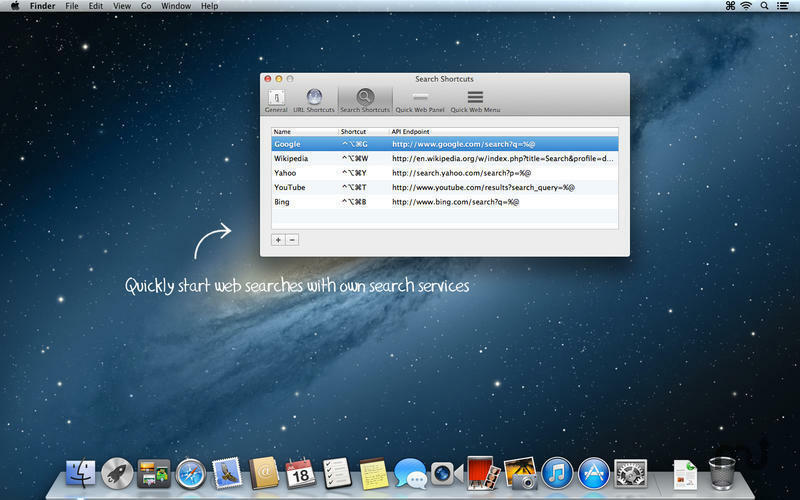 Additionally, you can configure your own search services in the preferences. 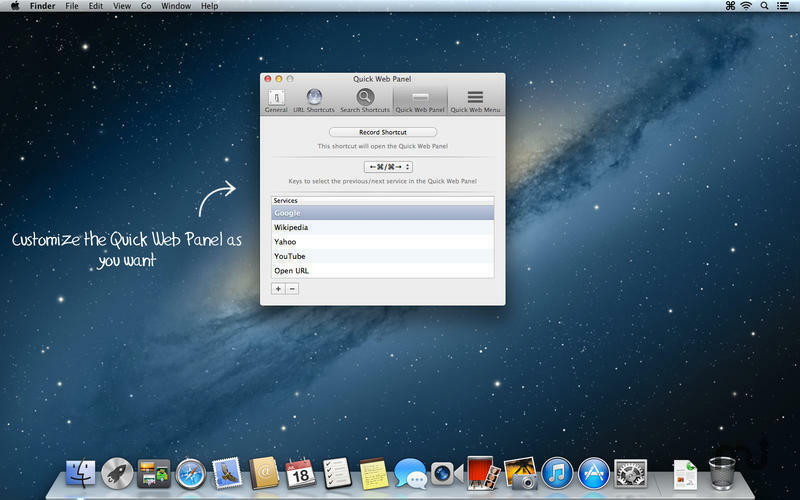 Another great feature is the Quick Web Panel. To open it, simply press the shortcut you configured in the preferences. In the panel you can select one of the services you configured in the preferences, then type in a search subject or an URL and press enter. So, briefly, what can Quick Web do for you?